Go ahead – feel virtuous about having a cocktail. After all, when it’s packed with Vitamin C thanks to freshly squeezed grapefruit and lemon, it’s got to be good for you, right? I really enjoy grapefruit in the dead of winter; somehow they seem to taste like sunshine to me. Ever since I paired grapefruit and vanilla for this fantastic scallop dish, I’ve been thinking about other ways to enjoy this surprisingly delicious combination. Both flavours dance beautifully together in this simple but sophisticated drink that I love because it’s not too sweet. Cheers to winter sunshine! Freshly squeezed grapefruit and lemon juice combined with vanilla and vodka make for a delicious, refreshing cocktail. Cut grapefruit in half. With juicer or citrus reamer, extract as much juice as possible (you want at least 4 ounces / 8 tablespoons / 125 mL). Strain juice into a small bowl. Split vanilla bean lengthwise and scrape the tiny seeds out, adding them to the grapefruit (or add vanilla bean paste). Whisk to blend thoroughly. Cover and let stand for at least one hour, to let the flavours blend. When ready to prepare cocktails, zest the lemon using a very fine grater. Combine the zest with the sugar and place in a saucer. Cut a thin slice from the remaining half grapefruit and run it around the rims of 2 cocktail glasses. 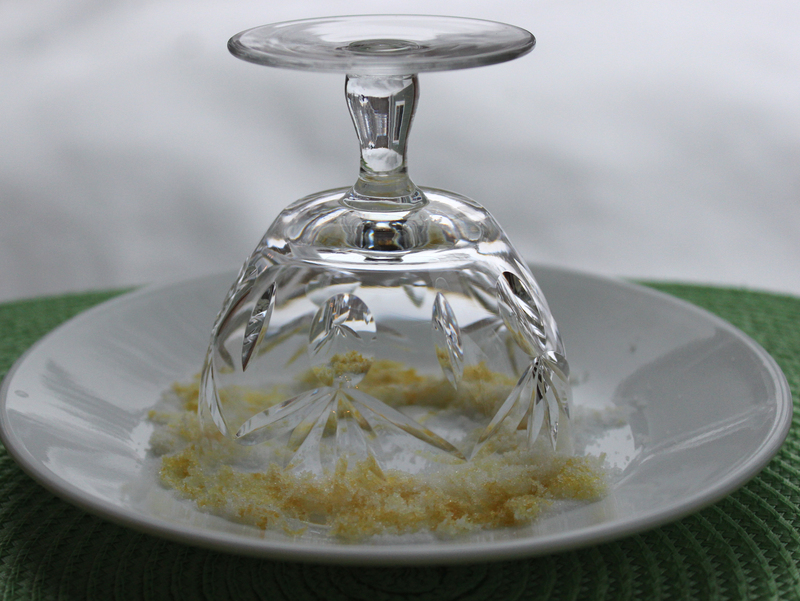 Invert the glasses into the saucer of lemon zest and sugar, pressing slightly so the rims are lightly sugar coated. Combining lemon zest with sugar for this cocktail rimmer keeps the drink from tasting cloyingly sweet. In a cocktail shaker or jar with a tight lid, add ice, 4 ounces (1/2 cup / 125 mL) vanilla-infused grapefruit juice, ½ ounce (1 tablespoon / 15 mL) freshly squeezed lemon juice and 3 ounces (6 tablespoons / 90 mL) vodka. Shake well for one minute to blend and chill the ingredients. Strain the cocktail into the two prepared glasses and garnish with fresh slices of grapefruit or twists of lemon. 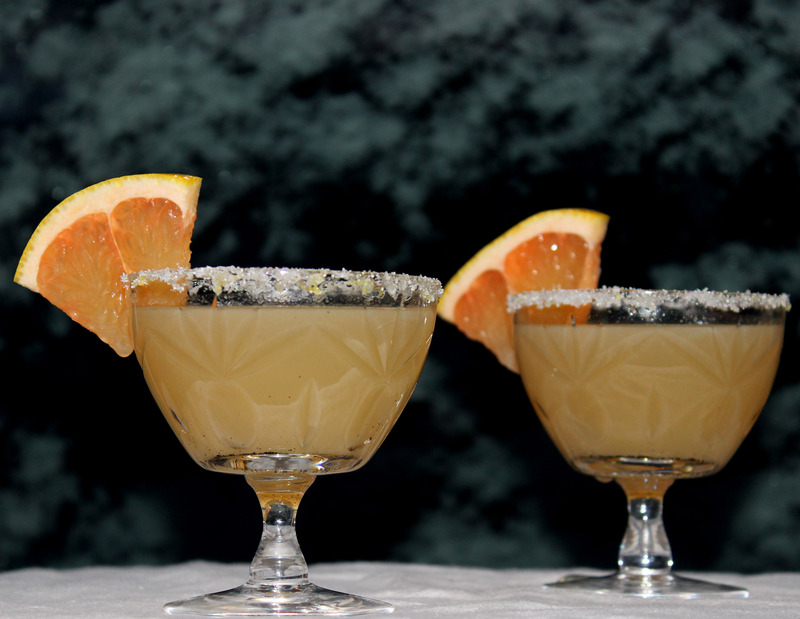 This entry was posted in Drinks and tagged citrus, cocktail, cocktail party, drink, festive, grapefruit, lemon, party, sugar, sunshine, vanilla, vanilla bean, vanilla bean paste, Vitamin C, vodka, winter. Bookmark the permalink. It may sound like an unlikely combination, but the earthy tang of grapefruit and beet juice with a cayenne kick is fast becoming one of my favorite blends. Sure, it’s got health benefits up the wazoo, but on a hot summer morning, there’s nothing better. I am going to try this juice combo – sounds great to me!